Hope you find this post informative and useful. Kindly share your views and comments. Cheers! Dear sir…My Co- brother(my wife and his wife are own sisters) wants to give 50% of his land(150sq yds) to me with out any consideration out of love and affection towards me . Can he do that? If so.. Is it by gift or by settlement? Would our relation come under “family” as per IT Act? What would be stamp duty payable on it in Andhra Pradesh? Spouse’s Sister’s husband falls under the definition of ‘Family’ under the IT act fro Gift related transactions. 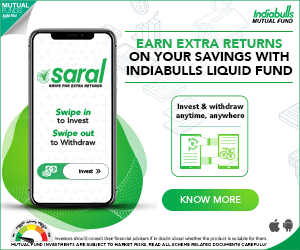 He may execute a Gift Deed in your favor and this will be treated as a tax-exempt transaction and you can declare it in your ITR under Exemption income while filing your ITR. If I buy and register a inherited property from my own brother for half the price of guideline value. What are the tax Implication for my brother. How is the capital gains calculated. Is it as per the guideline registered. Or the amount which he got from me. Say if the property total guideline value is 60 lakhs. The actual amount I’m giving is 30 lakhs. How it will be done. 2) For the purpose of calculation of capital gains circle rate (Rs 60 lakh) would be taken into consideration and not the price mentioned in sale deed. Dear Sir, I own a flat in Chennai & I want to gift (or through settlement deed) it to my Brother-in-law (my wife’s brother) out of love & affection without any monetary consideration. What is the Stamp Duty & Registration Charges? Spouse’s brother falls under the definition of ‘relatives’ for Gift – income tax purposes. Hence, the stamp & registration charges would be nominal. You may kindly visit your State’s Registration Dept portal and check. 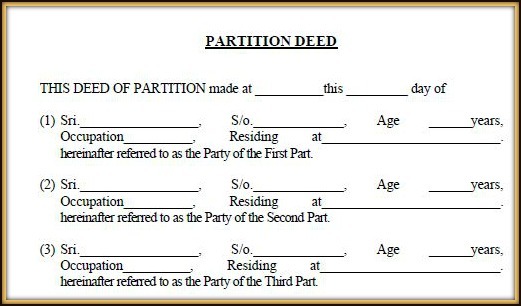 how can one get their name on the home which belongs to the deceased parents , i believe i have to get my name on the partition deed , how can i do this di i need a lawyer or advocate ? Are you the only legal heir? Can you please explain me the procedure for converting an agriculture land to residential land and how long will take do that. Dear Manjunatha ..Suggest you to kindly consult a Civil lawyer and BBMP/civic body’s Revenue staff. Kindly do not be in a hurry with real estate transaction(s). Whether a Gift Deed or Sale Deed the procedure can be finished in 1-2 days. Kindly take help of a local Real estate agent or Writer at concerned Sub Registrar Office. can settlement deed done from son/daughter to parent? I believe that it can be done, as a Family Settlement deed. Kindly consult a civil lawyer..
How to remove wrong entries in a EC, which is family property (5 members) where we are shown as Sellers, but we have not sold to anybody, which we came to know last month. Kindly contact the concerned Sub-Registrar office immediately. Thanks. I will do the needful.🙏. My Brother-in-law (my elder sister’s husband) and his son (my nephew) has purchased a shop in a mall, which has been financed by a bank.The loan is still active. My Brother-in-law is the applicant and my nephew is the co-applicant of the property. Now my brother-in-law wants my nephew to have 60% ownership and myself to have 40% ownership of the property. We are going to rent out the property. So, the rent is to be shared in 60-40 proportion. So, now, how can the property be transferred to my nephew name and to my name permanently. Has there been any ratio of ownership mentioned between your brother-in-law and nephew? No, But, by brother in-law wants me to have 40% and my nephew to have 60%. Your brother-in-law can relinquish his share so that your nephew can become the sole owner of the property. He, then can relinquish, 40% of share in the property and it to you. Suggest you to kindly consult a lawyer/CA in this regard. Hello Srikanth, Thank you for above information. You need to first inform your banker on this. If they give NoC then you can execute a Gift deed in your wife’s name. Is she a co-borrower of the loan. Kindly note that even a registered Gift Deed is not valid without taking the consent of your Banker/Lender. I would like you advise me on the following issue. 3. We the joint owners (4 brothers) sold some parcels of land to various parties. relinquishment to the other 2 (A & C)brothers. 6. Now the modality we are thinking is as follows. I. B, C & D will transfer land to A in the form of relinquishment (registered). II. A, B & D will transfer land to A in the form of relinquishment (registered). 7. Now the questions are as follows. II. Is this legally tenable? III. What about Income tax implications? Your valuable advice is highly appreciated. If B & D have used the funds in excess, why is that A & C have to forgo their shares and draft Relinquishment deeds?. 1 & 2 – I believe that the said reason can be mentioned. 3 – The transfer of property through Relinquishment deed can be for consideration or without consideration (without any exchange of money). In case, if previous usage of funds is mentioned in the deed, it is advisable to mention consideration amount in the relinquishment deeds. Tax Implications: The tax on capital gains (like in Sale Deed case) is applicable but only on the portion of the property that is relinquished. Suggest you to kindly consult a CA/Civil lawyer. I believe that it could be Index-II (but I am not 100% sure on this). Kindly go through this link for more details..
i am in agreement to buy an agricultural land in telangana. the seller got from grand mother (no documents available ), but in passbook it was reflected as gift settlement patta and some serial no given. he has two little minor daughters uf 5 and 7 year old. he is ready to sell the property , do the minors have rights.? in this case they are too small. what is the legal way out, if they have rights. kindly advise me. Can be a risky transaction. If this is an ancestral property then the great grand children can also have their claim in the property. Suggest you to consult a civil lawyer in this regard. I own a property in Chennai and wanted to transfer the same to my Mother. The apartment is currently mortgaged and documents are with the bank. 1. Should we first pay the full amount, get the documents from the bank to initiate this transfer? 2. Will it be a Gift deed or Settlement deed? I read that Gift deed has 8% (Stamp + Registration) even within family members while Settlement has 1% only. 3. I am a non-Indian citizen. Can I execute a power of attorney to my mother and which she could use inturn to complete the registration? 1 – As long as the property is mortgaged, Gift deed may not be valid (even if you execute it). So, you need to first get the consent from your banker and then proceed. Either you or your mother can repay the loan and own it without any legal consequences (from banker side). 2 & 3 – Kindly consult a civil lawyer. 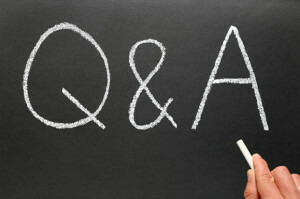 Good evening Sreekanth , I shall be grateful if I get answer for my query for my too. I am from Chennai. I and my brother in law purchased a UDS land with extend of total 2600 sq.ft. and constructed house in which I have purchased 1500 sq.ft land and B-i-law is having 1100 sq. ft. The land boundaries for both are same. but, builder constructed uds building with plan approval from chennai corprn( taking approval and then selling the land to us). my side 800 sq.ft and 600 sq.ft with back side wall jointly constructed( ground floor only). The land is having two side roads hence we built opposite direction faces( North and South facing). Both of them taken home loan in same Bank. Recently my B-i-Law constructed 300 sq.ft( 3 rooms upstairs) without approval from the authority but paying property tax for that also. Now, I want to sell out my property to some one. The buyer wants to buy the house with intention to build additional rooms in the upstairs( 1st floor). 1) Here, I want to know whether as per document if he buy my property he will get approval for further construction or not?. He is having doubt as other side constructed without permission. He goes for loan also. 2) Further, He asking me to partition the property and then register to him. If I agree for partition and pay for the 7 +1 fee . Here, I want to know whether the Bank can give noc for the partition and if Bank refuses for noc what are the right way come out of this issue. 3) Suppose if I clear my loan whether I can independently go for partition with the consent of my B-i-Law without informing or taking noc for my B-i-Law from Bank. OR is it necessary to inform the Bank. kindly let me know the procedure. 1 – Very tough for me to suggest on this. Kindly contact an authorized Architecture or engineer. 2 – Do you have separate Mutation records (Khatha) for both the houses ? Or is it a single Khatha/Patta? 3 – Have you taken two separate home loans on the property? GM SR, Tks for the reply. This plot is approved one . we did not take patta for that since it is UDS no need for patta to apply I was advised. Otherwise both have to apply for the whole extend of land. About patta not known about the parent land holder had it or not. The builder died. Dear KUMAR ..Having separate Patta is always good. Kindly check at local civic body office if you khatha bifurcation is possible, so that both of you can have separate Khata/Pattas. Thank you for your appreciation and kind words! Thank You for all of the valuable information and guidance you posted on your site. Here is my situation… I am not a Indian Citizen, I was born abroad and live abroad. My father is an Indian Citizen living and owning a flat in India. He wants to transfer the flat into my name. I believe that there are two options do this: a Gift Deed and a Sale Deed. From my understanding the Gift Deed would be the ideal route to pursue…..with delayed ownership until after my Father’s demise and greater Tax benefits. On the other hand, with a Sale Deed I would take ownership right away, although it has greater Tax implications. Question – If we elect to go with a Gift Deed. Can a loan be taken out on the Flat – by my father or anyone else during the interim? Can it be sold? Will the transfer be seamless into my name after his demise? Can anyone object or raise a case ( either by someone who claims he owes them money or by other legitimate or illegitimate Children) For some of these reasons, I am leaning toward the Sale Deed Option. 1 – With Registered Gift Deed you get the ownership right away. The transfer of Title happens immediately and it is irrevocable as well. Mostly, you are perceiving it as a WILL. Are you the sole legal heir? Are there any financial loans (Liens) taken on this property (existing)? In terms of ownership of title – both are equally good. 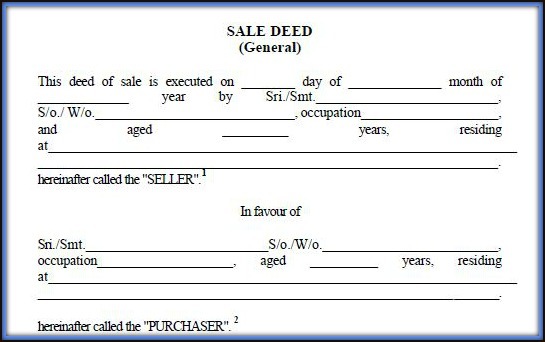 You may prefer Gift deed to Sale deed. Kindly consult a civil (local) lawyer as well. 15 years back I, my wife, her brother and her mother jointly purchased a flat. To settle the loan to the third party, without any money consideration, we want transfer the title of the flat to him. Kindly note that Transfer of immovable property without consideration or for inadequate consideration is also chargeable to tax with reference to the stamp duty valuation. You can see the government guideline value for particular property and show that value (for taxation purposes) and remaining value you can pay in cash (though not advisable). Kindly consult a civil lawyer! A family settlement deed was executed among four brothers and their HUF , among them one brother die, in the settlement deed it is stated that after the dead of any of the parties, the right of the said party in respect of such portion in the capacity of the karta of H.U.F will devolve on the persons as per law and on the other hand the right held as per individual will devolve on the legal heirs of the said party. so now legal formalities to be done so that property is transfered to their legal heir and o whom the property will be transfered after the karta death? The oldest person of the HUF would become the Karta. my question was what are the legal formalities to be done by the legal heirs of death party or any deed to be executed. Dear Rashmi..I believe that mutation has to be done on the names of legal heirs. The karta can bequeath his share in the property of HUF to any legal heirs,he can leave WILL. If WILL is not written, the share in the property will be distributed as per the hindu succession act to all legal heirs. You may kindly go through this link…. Suggest you to kindly consult a civil lawyer / CA. If it is only one Gift Deed, you need to pay stampduty/registration fee only once while registering that Gift deed. We are a joint family of 3 married brothers living with our parents.Three years back we did a decree of our house which was more than fifty year old and belong to our father living with us into five parts i.e. Separate portions of father,mother & three brothers. Then after 1 year we entered into a partnership with a builder who agreed to build flats for us in lieu of some share of the flats. As the work was in progress the builder sold the constructed flats and proportionately paid us cheques of the sold flats price. In this payment we received 5 cheques proportionately divided according to the decree. Now we want to purchase the plot from this jointly received payments in our accounts. Now I want to ask you what should we do for registration of the purchased plot as its payment is jointly beared by all five of the members. Can it be registered alone in the name of our parents so after them we three brothers could acquire our equal shares in the property. Is there any tax liability for us ? Pl.respond. If a settlement has been arrived at, regarding the shares of 5 of you, and if you got the payments accordingly, then if you have re-invested these payments in Plots, you can claim tax exemption on LTCGs only if you construct houses on these newly acquired plots. Suggest you to kindly consult a Chartered Accountant! Thanks for answering the query. Now only a single doubt is remaining which is that as we 5 members of the family equally bearing the cost of the plot and construction. Is it becomes necessary to get the new built house registered in the name of all 5 members. Is it possible as far as I know maximum of 2 people opting for a joint registry. And if not then remaining 3 members are liable for tax filing on their contributed share/amount equally received during sale of property in their respective account. I believe that a property can be registered in all 5 of your names, its possible. Hi, I have a flat for which the Home Loan is still going on and would be for next 9 years. The EMIs are paid solely from my account. My query is can I gift the property to my wife by registering it but then loan remains with me? Dear Ramesh..You can gift the property, but you may have to first inform your banker about this..Your banker may ask your spouse to be co-borrower of the loan after the gift transfer..
My father is a retired employee and owns a plot of land registered on his name. We now want to build a house there by taking house loan with me as a co-borrower. I understand that I need to be a Co-owner of the house to avail tax benefits. How do I become a Co-owner of the house that will get constructed? Is it enough to be a Co-owner of the plot of land? Can we execute a gift deed by which I can become a co-owner of the plot and not a separate owner of a piece of that plot my father owns? Also, on whose name (mine or my father or both) should we apply for house construction permission from the Municipality authority and any implications on it? We prefer to have my fathers name alone if not for the tax benefits. Your father can execute a Gift deed by mentioning a share of ownership in the property (say 50%). After which, both of you are treated as co-owners of the property. I believe you can apply for sanction plan in your father’s name, but may I know the reason for this?? We do not have a specific requirement on whose name the sanction plan should be issued etc but we were thinking it would be simpler if we have just one of our names in the municipal records – which I’m thinking will pass down on to the Electricity connection / Water connection etc. Is that right? Is it mandatory to get the mutation done? Once the gift deed is executed and even without the mutation, will I be able to legally claim the tax benefits? If you become a co-owner of the property, its advisable to get your name entered in Municipal records as well, though it is not mandatory. Yes, even without the mutation, you can claim tax benefits. Thanks a lot Sreekanth, that was very very helpful. 2- Do we need to pay any stamp duty or any registration charges for it. 3- Among 3, 2 sons have died so would it transfer to their wife or it could be transfer directly to their child. If it is an ancestral property then one son and wifes of other two sons have equal right of ownership in the property. The respective owners of the property can visit local civic office (panchayat/municipality/corporation) and can get mutation done in their names. You may have to produce Succession certificate, relevant death certificates, Partition deed, Family hierarchy details etc., to them..
One of seller called Ms Vibha Dokania, she has clear all the dues to the builder before taking handover of the property (Flat). Now, I am purchasing this property from the seller. As per the builder terms and condition the seller has to pay the transfer charges to the builder for nomination transfer of the property. The seller submits the charges along with a request letter to the builder for nomination transfer of the property. My query is: Do I need to pay any TAX amount to the builder, because of Service tax v/s GST difference. As mentioned, this is transfer case and this property yet to handover by the builder. Looks like this is a transfer of Allotment of property..
Kindly note that GST is applicable in case of an Under-construction property. Can the property be gifted to “ANY” blood relative? My aunt, mom’s older sister is not married and has no children, she took care of me as a child, as my mom passed away when I was really young. I live abroad now and my aunt wants to register her property via gift deed to me. 1) As her niece, am I considered her blood relative and what would be the registration fees for gift deed? 2) My aunt has her Will ready several years ago and per the Will, she has left everything to me. 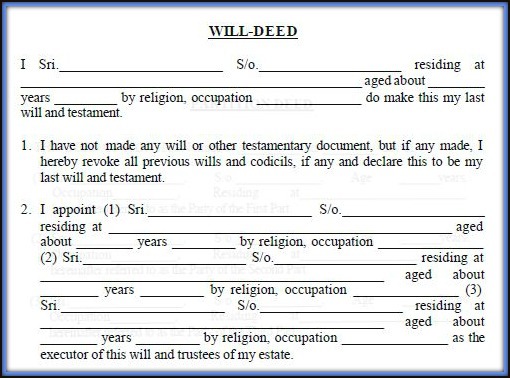 Is it easier to transfer property through the Will or through Gift deed? 1 – Yes, you aunt can gift you the property. It is tax-exempted. Suggest you to kindly go through this article. 2 – Both are equally good legally. If she wants to transfer the assets now, Gift deed can be considered. Else WILL is sufficient. Cost wise, getting Gift deed done can be more.. If she is planning for a WILL, suggest to get it Registered (though it is not mandatory!). Thank you for your timely response. My aunt had the Will drawn up several years ago on stamp paper. How would one go about registering a Will? Your Aunt can get the WILL registered in Sub-Registrar office. Hi, I have a flat which is currently only in my name. Can I execute a gift deed to transfer the property to my wife’s name? Or is gift deed tax exempt only for pure blood relation as my wife is not my blood relation? Also, is gift deed or settlement deed best in this case to transfer the property completely to my name? This site is very informative. I have a query. My unmarried daughter & I jointly bought a flat in Thane, Mumbai for which I contributed Rs.25 lakhs from my retirement funds & we took a home loan jointly for the remaining amount. Since the property is in joint names, I had to be co-borrower for the Home loan. She pays the EMI. The flat is under construction. I own another flat in my single name. This flat was meant to be a joint investment since I had then received my retirement benefits & her salary was not required at home. We intended to sell off the flat at an opportune time & divide the proceeds in the same proportion as our investments. Due to the advent of a boyfriend in the picture, there is now discord between us. She owes me Rs.15 lakhs out of the Rs.25 lakhs that I paid. I want to now free myself of both the ownership & liability of this flat before I make a Will. I anticipate legal problems ahead. Please advise on how to go about it. Suggest you to kindly consult a civil lawyer and take advice. I have Probate based on WILL of my mother. When I went to registrars office for mutation with all necessary documents, officer concerned is insisting on transfer deed. For mutation of property, you have to visit Civic body office (Municipality/Corporation/Panchayat) and not Sub Registrar office. You mean to say in Mumbai for obtaining Index II, municipal corporation will do the needful ? Dear HARSHAD ..Yes, you may visit Corporation office instead of SubRegistrar office. Kindly read : How to get mutation done? Great Article… I do have a couple of questions. 1. My father wants to transfer a property in Mumbai to my wife (My father’s Daughter-in-law) through a gift deed. I do have 3 sisters that are married. Will he still need a clearance from my sisters and me to do this? 2. This property is still under construction through redevelopment project so he has the Registered contract from the builder, and the possession of the property will be 2-3 years down the line. Will this have any implications? 1 – Is this an ancestral property or self-acquired one? Kindly read : What is Ancestral property? Also, if such property generates taxable income, then clubbing of income provisions will be applicable, income will be clubbed to your father’s and taxable in his hands. 1. It is not ancestral property. It does not generate any income but instead is in redevelopment currently and we will get the possession only after development is completed in 2-3 years. 1 – If it is not an ancestral property, your father has absolute right to gift/transfer the property to any individual of his choice. Sir, I own a property in Bangalore and it is registered under my name and I need to include my cousin name as co-owner of the property. Since we are joint family. We are planning to construct house wholly for joint family. We are in mutual agreement for this. Please suggest the deed how it has to be registered. Plot size 30″40. After registration we approaching the bank for the loan purpose, this registration will help us to get more loan eligibility. Please suggest the deed how it has to be registered. As we are aware that stamp duty and reg charges will be applicable. But we need right guidance on how the deed has to be registered now. As the property is currently solely owned by you, to include your cousin as a co-borrower, you may have to relinquish a share in the property and can add your cousin’s name. You may kindly take help of a Lawyer and get this deed done. I have a plot which is purchased along with co ownership of brother and Mother. Now I have to transfer the ownership of my brother to my Wife, so that she can be co-owner along with me and my mother. What has to be done? Also let me know how best can I save on Stamp duty? Your brother can execute a Gift deed in your Spouse’s name to the extent of his share of ownership in the property. I am a salaried person with 30 % bracket, and I hold a rent earning property which is fully owned by me but it is on housing loan where my wife is a co-owner, I am currently staying at my parents place and i am building another property for self occupation and a small portion for rent, what is the best way to transfer the property to my wife where i can reduce the tax burden for rental income. PS: My wife is a home maker. Any gift to Spouse is a tax-free transaction, but clubbing of income provision do apply in this case. Can i make a release deed for making my spouse a co-owner of the house? so that major portion of the rental income can be shown in her name? If it is a Gift – no amount is exchanged (free). Definition of ADEQUATE CONSIDERATION: One which is equal, or reasonably proportioned, to the value (in money terms) of that for which it is given. The share of rental income is based on her share in the property. My daughter and her Fiance want to buy a flat. They are not married. We have identified a property in Mumbai. The boy has applied for a loan and I want to help my daughter with some funds to buy this property. Can the agreement be made jointly in their names since they are not yet married. They will get married in 2018. But registration and agreement has to be done for the boy to process the loan amount to the builder. If registration of property is not possible jointly now before marriage, can my daughters names be added to the property documents later after marriage since I am paying half of the amount as gift to my daughter. The registration can be done but not as life-partners. Suggest you to make your daughter as co-owner of the property before marriage itself, (to be on a safer side!). You can also get a Gift deed done. Sir, My son expired intestate married with no kids. My son owns 3 acres of land in village. My self and widow (daughter in law) mutually agreed to transfer 3 acres of land owned by her husband to me so that equivalent value house registered on my name will be transferred to her as mutual understanding. We agreed and signed an affidavit (notary) on 100 rupees bond paper and signed + (LTI of both parties) and sealed by notary infront of other two witnesses. In same affidavit we mentioned in future she (widow) should not come back and claim rights on other properties owned by family members. My question will this Affidavit(Notary) valid as agreement or is there any expiry to this affidavit what we agreed to?. Do we need go for new agreement and register it in registrar office by paying value of the asset ?. Please advise here how to legally close this family property settlement to transfer land and house between both parties. We need to avoid future litigations for next generations on other ancestral and self acquired properties. Let’s not forget that anything and everything can be challenged in court of law. May be, your daughter in law can execute a Relinquishment deed in your favor and your can execute a Settlement Deed in favor of your Daughter in law. Suggest you to kindly consult a civil lawyer and take a decision on this. Hi, I stay in Mumbai and bought an apartment in Bangalore. the sales deed has my mother and me as joint owners. I need to register the apartment now as the builder has completed construction and will hand over OC. my mother is unable to travel to register the property due to health issues – will a NOC or any other document by her help me go and register the property in BANGALORE. Any guidance is highly appreciated. Also would you recommend that I transfer the property to my name to avoid any issues later? If yes, what is the process to do the same? If the registration is not yet done, may I know how did you get the Sale Deed? (or) Are you referring to Sale agreement? I believe that your mother can submit a letter (NOC) to the builder to register the Flat in your name only. Your builder may ask you to make fresh Sale agreement (or) ask for Power of Attorney from your mother. Have you taken any joint home loan? In case of Spouse’s father too, transaction can be considered as GIFT only. Relinquishment Deed can also be considered. You can compare the stamp duty expenses on both cases and can take decision. Sir, I bought a house in my wife’s name 3 years back and I’m paying home loan. Now, I want to add my name to the property as co-owner, so I can claim the loan (prin & int) paid towards the property. My wife is not claiming anything and she is a house wife. Please suggest what is that I need to add my name as co-owner? Your wife can execute a Gift deed, and can mention the % of ownership that she is gifting you. Kindly note that you can claim tax benefits based on this ratio only. I stay in Mumbai with my family (wife and kids) in our ancestral house which is currently jointly owned by me and my two married sisters. I wish to get the house transferred in my name and my sisters have given consent for the same as they are well settled with their respective husbands. I wish to know if a Release Deed signed by both my sisters in presence of the Sub Registrar would suffice or is there some other formality/legal proceeding which needs to be followed post execution of the Release Deed? For getting the property transferred to my name is it necessary to submit the signed Release Deed to a higher authority for actual change of ownership in the Property Card? Is the Stamp Duty to be paid while getting the Release Deed signed or while transfer of ownership? Also would be helpful if you can throw some light on the Stamp Duty aspect. Have read online that for Maharashtra state the Stamp Duty on Release/Gift Deeds have been removed. Not too sure how true this is. And also read that for ancestral properties the Stamp Duty component is much lesser than that for Housing Societies/New constructions. Kindly note that applicable Stamp duty has to be paid at the time of executing Release Deed. Once the release deed is done, you can get the Mutation of property (Transfer of title in records) done. Generally the stamp duty on Gitft or Relinquishment or Release deeds that too among the family members will generally be very Nominal. Kindly inquire about the charges at your nearest Sub-registrar office or visit MH Registration portal. Hi, I live abroad and my father is planning to gift his flat to me with a condition that i settle the shares of my other sisters. I want to know whether there will be any tax implication for my sisters as I will be paying them their share in money. please guide waiting for your reply. Yes, it is possible. You can execute Relinquishment Deed or Gift Deed, and can mention the his share of ownership in the property. Kindly take help of a CA or lawyer. Hi.. This is a basic query but no one seems to have answered it to my satisfaction. I bought a flat jointly with my wife. Since we had been married recently, her PAN card had not been updated with the new name and hence we had to use her maiden name in all transaction documents including the loan documents. Now, her PAN card has been changed to the new surname (with same PAN number). 1. Would there be a problem in selling the property since one of the co-owners of the property have a different surname? 2. Would my wife be able to claim tax benefits with certificates issued in the old name and her PAN and employer showing the new name? As per my understanding bank would issue tax certificate for home loan with maiden name only since property has been registered in old name. You may have to convince the prospective buyer (in future) that both names belong to same person only. For this to avoid, you may have to get Affidavit done and publish the name change notice in Newspapers/official gazette. Also, she can inform the banker about the name change and request the banker to update the homeloan records. My grandmother expired recently and as per her Will, her house belong to my father. We are three brothers and my father wants that the house should be equally owned by 5 of us- My father, my mother and we three brothers. how to go for it.. ?he just started the process of change in name in PR card.. How can we minimize the stamp duty & registration fee payment.? Your father can Gift equal shares to all four of you and also keep a share (1/5th) for himself. He can mention the ownership share in the Deed. Thank you for your reply sir, may I know when exactly my father has to produce this deed. Is it after making PR card or after the whole process of mutation is completed… How much total it will cost in maharashtra. Dear Amolm ..Your father first needs to get Gift Deed done and then can apply for Khatha/Patta/Mutation transfer in respective Owners’ names. Kindly visit MH state stamp & revenue dept website for fee details. (1) SON gives gift of flat to MOTHER in Mumbai,Maharashtra. Is registration compulsory, because the same flat MOTHER will gift to her BROTHER after say one week, at that time registration will be done. (2) Can society refuse to register the MOTHER as new owner of the flat, if registration is not done ? Is there any legal ground based on which we can force society to register flat transfer. 1 – It is compulsory, otherwise the registration may not be possible (mother to brother). 2 – May I know why do you want to do this?? Hi Sreekanth, thanks for the quick reply the reason behind non-registration of Gift from SON to MOTHER is to save stamp duty and as I told you the same flat after a week MOTHER(SISTER) will be gifting to her BROTHER at that time registration will be done. So my query is regarding transfer of membership with the society from SON’s name to MOTHER’s name when registration is not done. While transfer of membership with the society from MOTHER(SISTER) to BROTHER can be done because at that registration will be done. I believe, two transactions are not required. Son can directly do a Gift deed transfer to Mother’s brother (uncle). But it does not fall under relative category as per Sec 56(2) of the IT Act hence it will attract capital gain tax ? I may be wrong please check at your end and reply back. Dear Yeshwant ..Kindly read this article, I have listed down the definition of Family member for gift related purposes : Gifts & Tax implications.. I have a flat purchased in my name and also i am paying the EMI for the loan taken. I would like to add one of my friend as a coowner of my flat without any financial consideration. However, I will continue to pay my EMD. I would like to know if this is possible. You can Gift the share of ownership! Kindly read: Gifts & tax implications! I had bought a appt in 2013 before my marriage by taking Home Loan currently running in SBI in Chennai. I got married recently and now I want to add my spouse name as a co-owner with 50% share. Please let me know the procedure of how to proceed. You can execute a Gift Deed in your wife’s name. If it is a let-out property, then rental income (her share too) will be clubbed to your income and you have to pay taxes accordingly. If the property has already been registered in his name? May I know what is the issue now? The stamp duty payable is similar to that payable on a sale deed, i.e. based on the market value of the property. Stamp duty of 8% on the market value of the property. Registration fee of 1% on the Market Value. Presently as per document Land is name of my Grand father’s Friend. Now, the land has to be transferred to my name. Will it attract Gift tax as the property received in settlement from a non family member? If non-family member then gift tax is applicable. Me and my husband purchased a flat and taken a home loan jointly and I am the co-applicant in loan but do not own any liability in repaying it. But my husband is the only owner of the property. Now due to some dispute between us we want to transfer the ownership from his name to my name but as registry already done under my husband’s name, can I get the ownership of the Flat now? what else can be done in my favor? Legally, as you are the co-borrower of home-loan, you are equally liable to clear outstanding loan amount. Is the property solely owned by your husband? (or) Is it owned jointly and you would like to get his ownership share transferred to your name? Let me know what is your query?? It is solely owned by husband and I want to get it transfer under my name only…what should be the correct procedure? He can execute Gift Deed in your name. You have to inform your banker too. But currently the property is under loan so in this case can he gift me the property as gift deed?? Dear Prachi ..Yes, you need to first approach your banker/lender and let them know about this development. They may even ask you guys to settle the loan amount and then do the gift transfer. (or) may suggest for loan transfer in your name (100%) if you have the eligibility. Very informative and lucid article, keep the good works going. I want your suggestion in this case. We had a property against my grandmother’s name. After her death same has been mutated to three sons of her including my father (my father has two brothers and three sisters). Now my uncle (oldest son of grandmother) wants to give his share of property to my father (he is not willing to give his share to younger brother). What deed would be applicable in this case gift deed or release deed? Please guide. Relinquishment Deed or Gift Deed, either of them can be considered. But taxes on capital gains (if any) have to be borne by your uncle, in case of Relinquishment Deed. Whereas, Gift transaction is exempt from taxes. My husband has 2 homes and he wants to transfer one of them in my name so we need to complete the whole registery processor again or is there any other way to transfer it on my name . 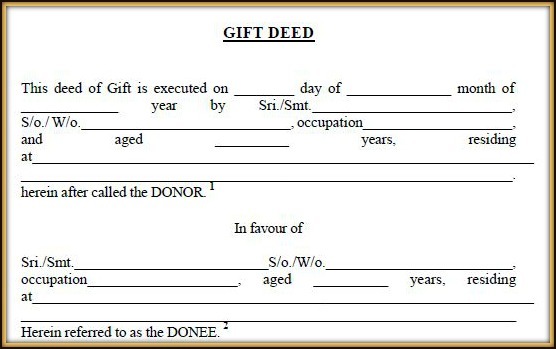 Dear Som ..Yes, but Gift Deed can be considered. My Father-in-law is planning to transfer ownership of a plot in my name. We stay in Bangalore and plot is also located in same place. Kindly let us know best method of transferring property in my name? I come under 30% tax bracket. Do I have to disclose this property while filing the tax after transferring in my name? I don’t want any complications in future. Your Father in law can execute Gift Deed. This transaction is tax-exempt and if the property value is >30 lakhs, you may disclose this as ‘Exempt income’ when filing your ITR. Also note that if this house generates any income then such taxable income is clubbed with your FIL’s income and taxes (if any) have to be paid by him. I bought a land on my mothers name. I would like to transfer the land on my name. As per the tamilnadu government fee structure, there are two options mentioned. I believe that Release Deed is not applicable in this case as the property is solely owned by your mother. Release deed can be executed only when property is jointly owned. our mother expired two years ago without any will. we are two brothers residing in a flat and we also have a sister who got married 20 years ago . we have a lot fight in our house for the property. it’s only a flat we have. how will we get transfer the flat and to whom. I am elder of my brother and sister. My brother and sister has hidden the agreement and share of Flat and they both are not issuing the documents to society as they both want that the flat should not get transfer in my name. as I don’t have any child they seek as I will die and they will enjoy but what about my wife if really it happens she will be alone how will she get pass of this . So please HELP/Advice me how to tackle this problem. All three of you have equal share in the property as legal heirs of your mother. You may suggest them to sort this matter amicably else you can take help of a civil lawyer and get this sorted out.